To many people, waiting till 3 weeks before E3 to announce their new console seemed like a strange play for Microsoft. Letting Sony have almost 3 months in the spotlight, after a presentation that pleasantly surprised a lot of people with its cohesive message and promising feature set, meant that Microsoft had to come out of the gate strong with this event, ensuring the new Xbox was at the forefront of every gamers minds going into the massive information dump that is E3. The event started strong, with Don Matterick coming out and doing his best hyperbole on the power and flexibility of the new system, which you would expect from any new hardware launch. They then went for a super punch by dropping the name and showing the hardware basically right out of the gate, with a slick video of renders of the console, the new Kinect and the redesigned controller. The sheer fact I am talking about specifications in this is already more than I thought we would get. The specs were confusing however. They started with the immediately comparable figures. 500Gb hard drive, 8Gb of non-specific RAM and a Blu-Ray drive. The processor however was less specific, with it being described as an x86 architecture with “5 billion transistors”. The fact there was no hard number for clock speed raises some interesting questions of the origins of that bit of silicon, and it’s ability to hold up against the Sony hardware. The box itself is a mix of black gloss and matte, and looks like it will fit in well with the other boxes you have under your TV, with the front housing a simple slot loading drive and a single Xbox logo. The unit itself looks unexpectedly large however. From comparison videos that are out in the wild of people holding various objects up to the machine at the event, it looks to be about the width of a Macbook Air, but the height of something closer to an AV receiver. This is easily the biggest home console seen in a long while. After briefly mentioning games, an afterthought moment that pervaded the whole presentation, Microsoft launched into the interface of their new box. They showed the Metro style UI that everyone was expecting, along with features ripped straight out of Windows 8 such as the snap multitasking, where they ran a movie on the main screen and brought up Internet Explorer (yes it’s there) to sit next to it. They put a heavy emphasis on speed on their UI, switching very quickly from movie to game to music to movie, with no loading between them. Coupled with a very quick looking boot animation it looks very slick while retaining a simplicity. The speed appears to be coming from the fact there are essentially 3 operating systems running on the box. They have one for games, an OS based on the Windows 8 kernel for running the apps such as Skype and Internet Explorer, and some ethereal third layer which ties the previous two together. All of this was being done with the new Kinect. The presenter stood on stage and gestured his way around the interface, and when he wasn’t swiping he was talking to the XBox, telling it to turn on, where to go and the like. The whole on stage performance was very smooth, smooth and flawless enough where I have doubts that the man on stage was the one controlling that UI. Microsoft have had bad on-stage demos with technology before (see the E3 Modern Warfare 3 announcement), so I would not be surprised if that was either pre-recorded or controlled off-stage. The new Kinect does seem to be a major progression from the previous hardware, with the ability to tell your heartbeat based on the micro changes in the pigmentation of your skin to telling the stress that your individual muscles are under. As this new Kinect is shipping with every Xbox One, the opportunities are there for games developers to make interesting use of this new technology. After spending a little too long with Skype integration (you know, Skype? That thing you use every day?) they moved on to where it seems Microsoft are putting a heavy focus, TV. Using their quick switch, they voice control channel switching, bring up an programme guide and generally replace the usually terrible interface that your cable box has right now. The extent to which they touted this functionality was unexpected, and I would doubt the long term thought behind this plan. Every day brings more stories of consumers “cutting the cord” and ditching their cable providers and embracing services like Hulu, Netflix and others. Investing in a service that people are actively leaving seems like a strange move, especially if some of the features would require a partnership with the providers that people are actively leaving. Also, there was no mention of partnerships both in the US and overseas, and I have a real feeling that some form of partnership will be required to get the fullest out of that particular feature. The TV push naturally turned to sports, announcing a partnership with the NFL to provide features that will appeal to the kind of person who plays a lot of Madden. Again the “snap” feature was shown off to show live updates of a fantasy football league while watching the game. While this would appeal to the mainstream US market, I feel that there would be a lot of Europe based sports fans left with only hopes of “what if” in regards to partnerships with sports we actually care about on this side of the water. The sports theme continued with EA taking the stage, talking about the next generation of their tent-pole sports franchises running on their new Ignite engine. A show-reel of Madden, Fifa, NHL, UFC and NBA showed footage which wasn’t clean enough to be CG, but too good to be actual in game footage. However with no one really knowing what next gen will look like in action, this is still up for speculation. Forza 5 was announced, ticking the required “reveal a car game to show of your shiny new tech” box of the presentation. This was another demo that was unclear what hardware it was running on, if it was real time, or if it was in engine. Regardless, it seems difficult to make a car game that does not look impressive when showing it from angles you will never see while playing the actual game. A surprise appearance from Remedy games immediately set my Alan Wake 2 longing heart a flutter, only to be brought back to earth by the announcement of a new IP, Quantum Break. Nothing was really shown except a trailer that mixed FMV and some form of in engine footage. There is a small girl that can apparently shift large objects with her mind. That was all that could be pulled from the trailer. The first surprise of the presentation came from the announcement of 343 studios partnering with Stephen Spielberg and the newly formed Microsoft Entertainment Studios to create a Halo TV series. With no information of if it is exclusive to the Xbox One somehow or if it will be broadcast on a regular TV channel, while very cool the reveal seemed out of place. The fact that Microsoft now has set up a production studio is interesting, and I feel we can expect a lot more trans-media stuff from them in the future. The presentation then rounded off with a first looked at the already announced Call of Duty : Ghosts. Microsoft wrung every possible bit of use they could out of the next Infinity Ward title, showing asset comparisons with Modern Warfare 3 to show how many more triangles they can push, showing development diaries of programmers saying how awesome the system is, to then finally showing an actual first trailer. To no great surprise it looks very much like a Call of Duty game. When the most exciting part of your new title announcement is that you will have a dog companion that has been motion captured says a lot about how tired a franchise can get. Even their claims of character lead stories, a story penned by the writer of Traffic, and other more esoteric features like fluid dynamics and an engine powerful enough to give fish artificial intelligence (seriously, a man stood on stage and said the next Call of Duty had fish AI) did not manage to convince me to be interested in Activision rolling out another one of their titles. Of the day, most of the information that actually started to raise eyebrows came out after the presentation itself with the press interviewing key members of the Xbox team. At time of publishing some of the following has not been officially confirmed, or different interviews and media sources have given different answers, so tread with caution. When you install the game the key is tied to your Xbox Live account and you play the game without the disk needing to be in the system. If you give that disk to someone else they have to pay “a fee”, the amount of which has not been confirmed, to play that title. If you take that disk to someone else’s Xbox and log in with your account, you can play without paying a fee. While not ready to talk about it, Microsoft did confirm there will be some way to “trade-in” your Xbox One games for some form of recompense through the system. This is a bold move on Microsoft’s part, as it cuts retail channels out of the lucrative used games market. If gamers will have to pay to play used Xbox One games then there will be little to no reason for retailers to stock them, as their massive profit margins have effectively been removed. This raises an interesting question as to whether games retailers will want to stock a console that cuts them out. While we have no idea what the Playstation 4 system will be in regards to used sales, it is an opportunity for them to make a serious dent in Microsoft’s plans. If both systems have similar mechanisms, then this paints a very dark picture for the future of brick and mortar games stores. The always on-line console rumour has been raging for what seems like months now, and was not directly addressed at the presentation. After a collection of cross communication from Microsoft, the hard facts seem to be that the Xbox One requires an internet connection, but not a constant one. While not confirmed, multiple sources are saying that the console will “check in” over the internet every 24 hours. While better than the “every 9 minute” rumours that were going about, this is still not ideal. There has been no confirmation about what restrictions will be put in place if your Xbox fails this check for whatever reason. Part of this will be to facilitate their game to account linking behaviour mentioned previously, however they did briefly mention the ability to offload processing from the Xbox out to Microsofts Azure cloud technology. While this is a technically interesting idea, it does bring up a heap of questions about how games will be affected if your internet connection is not particularly fast. Does this mean the features or aesthetics of a title will change depending on your connection quality, since it cannot do all of the physics calculations on a remote server? Overall I left the presentation feeling particularly lacklustre about the announcement. With a bold start immediately dropping a name and the hardware itself, the other 50 minutes just seemed to be a slickly produced and flashy time filler. It was plainly obvious that they did not have a lot to show on the night, as the amount of flowery language and buzzword spewing that was going on left little room for actual content. While they stated initially that this event was about hardware and platform services, I don’t feel they said much about either that did not sound like it could not have been sent in a press release. 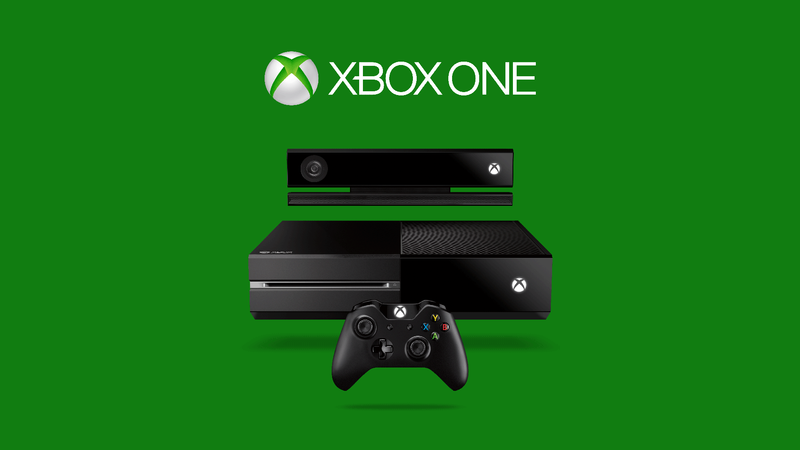 Microsoft are doubling down on the mainstream market that they have collected over the 360 generation. When you boil the conference down, the main points were TV, sports and Call of Duty. I hate the phrase “bro gamer” in non-sarcastic contexts, but this announcement seems almost like a parody of that exact mentality. While their E3 conference is supposedly purely about the games, they will have to make some serious strides in showing that they have not forgotten about the other demographics that own games consoles, such as those that primarily play games. While it is unclear if this targeted attitude is due to a pure business “ain’t broke don’t fix it” mentality, or out of some level of arrogance that they feel they can dominate another generation with more of the same, I am currently sceptical it will pay off. Backing a technology like broadcast TV which already has an uncertain future feels like a grave error, unless they do something spectacular in the future that revolutionises an industry that is notoriously resistant to change. The whole console feels like a very short term affair, as if they knew they needed to release something this year, but didn’t have a firm direction on where they would go. In fact there seems to be no targeted vision for this console, with a bizarre mix of very forward thinking ideas such as the technically impressive Kinect 2.0 and a hard stance on used game sales and the potential future of digital store fronts, while betting heavily on uncertain mediums like broadcast TV. While Sony will have to answer a lot of these questions come 3 weeks at E3, and have the potential to damage the considerable good faith they have built up since their announcement back in February, I feel there are a lot of 360 gamers starting to look at the other team and seeing if it’s worth making the jump.